Arnold examines the three presidents of the Progressive Era, arguing that “to examine only a president’s personal characteristics masks the opportunities and constraints within which he or she works. 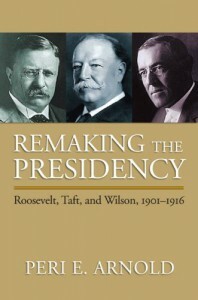 But, to examine only the president’s role and its political context is to miss how an individual functions within a given role and context.” (2) The unique contributions of Roosevelt and Wilson (and failure of Taft), then, are based on a lucky combination of character and the historical moment they found themselves in. This seems a reasonable enough argument, echoing the old saying that achievement happens when opportunity meets preparation, on a grand scale.Arnold points out that in the five presidential elections between 1876 and 1892, the winner averaged 47.72 percent of the popular vote. (3) That means, on the average, nearly 53% of Americans voted against the (mostly) Republicans who presided over the Gilded Age. He also notes that “Democrats controlled the House for nine of the eleven sessions from 1874 through the 1894 election.” This is interesting, especially given the decidedly “populist” look and feel of many of Roosevelt’s initiatives. Were they welcomed by a Congress that was sent to Washington to make just those types of reforms? The Dems lost the House in the 1894 mid-term elections, because Grover Cleveland was blamed for the financial crisis of 1893 (actually caused by the McKinley tariff). They regained a lot of ground in 1896, in spite of Bryan’s defeat, but remained the minority party. (wiki has a really good set of pages on this, complete with maps)Arnold describes what others might call Theodore Roosevelt’s opportunism as a political /philosophical journey. He points out that Roosevelt’s politics were never determined by party platforms (as McKinley’s were, he says -- but didn’t McKinley write the party platform, at least as far as the tariff was concerned? 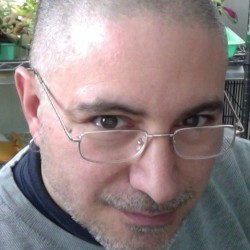 ), and he sees this change as a watershed. Roosevelt was independent enough from Republican dogma to say in 1907 that:The fortunes amassed through corporate organization are now so large, and vest such power in those that wield them, as to make it a matter of necessity to give to the sovereign--that is, to the Government, which represents the people as a whole--some effective power of supervision over their corporate use. In order to insure a healthy social and industrial life, every big corporation should be held responsible by, and accountable to, some sovereign strong enough to control its conduct. (7th Annual Message)“Whatever McKinley ‘saw’ was through the lens of being a Republican of the Civil War generation, his organizational experience as a party man and governor in Ohio, and his role as a Republican leader in Congress.” (14-5) But in addition to being a generational issue (all Civil War Republicans weren’t McKinleys, after all), Arnold also notes that McKinley’s main experience was in politics, while Roosevelt’s was in appointed, administrative government. So naturally they’d have different perspectives on what an executive should do, what government was for, and on the purpose of public rhetoric. (17, 18)In contrast to Roosevelt, Arnold portrays Taft as a president who was initially committed to continuing progressive reform, but who was temperamentally unable to embrace the new format of presidential leadership. Taft did not have the “tools,” and he mistakenly tried to retreat to an older model of leadership that, if it was not dead as Arnold says, was at least impossible to step back into immediately following Roosevelt. Wilson, on the other hand, “was invested in the possibility of a prime ministerial stance within the American constitutional framework.” (200) But of course, prime ministers stand and fall with their party’s dominance of the legislature. “Had Wilson not entered the presidency accompanied by a Democratic Congress,” Arnold says, “it is hard to imagine how he would have constructed his leadership.” So in this sense, Roosevelt was the progressive president, Taft was a backslider (albeit unintentionally), and Wilson was a reflection of the Democratic party’s legislative agenda.